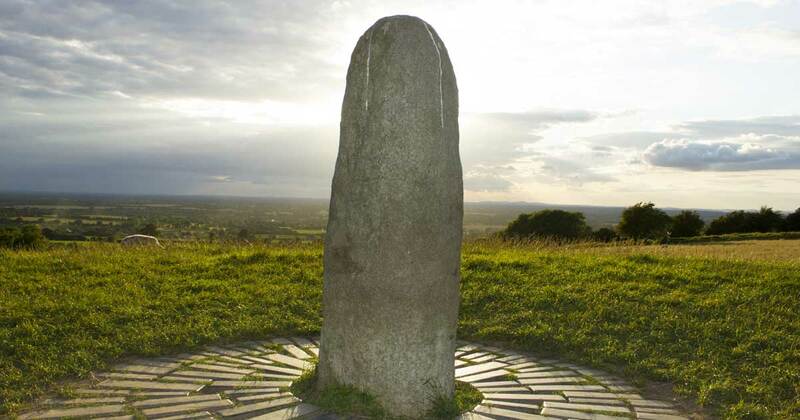 Legendary Lia Fáil: A Roaring Rock for the Coronation of Ancient Irish High Kings | Paranormal Forum: " Where paranormal, science, and spirit meet"
Discussion in 'Ancient History and Archaeology' started by JohnHermes, Mar 27, 2019. According to a collection of writings and poems known as the Lebor Gabála Érenn, the semi-divine race of the Tuatha Dé Danann were responsible for bringing the Lia Fáil to Ireland. They traveled to the Northern Isles to learn many skills and magic in the cities of Falias, Gorias, Murias and Findias. Then they traveled from the Northern Isles to Ireland, bringing a treasure from each of the cities, including the Lia Fáil, the Claíomh Solais or Sword of Victory, the Sleá Bua or Spear of Lugh, and the Coire Dagdae or The Dagda's Cauldron. The Lia Fáil is said to have come from the city of Falias. Many believe that this legend explains how the stone arrived in Ireland. jadamz, Debi and Mokey like this.